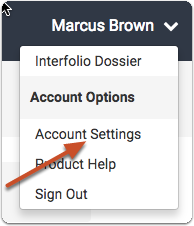 You can control when and how Interfolio sends you email from the communications tab of the Account Settings page. 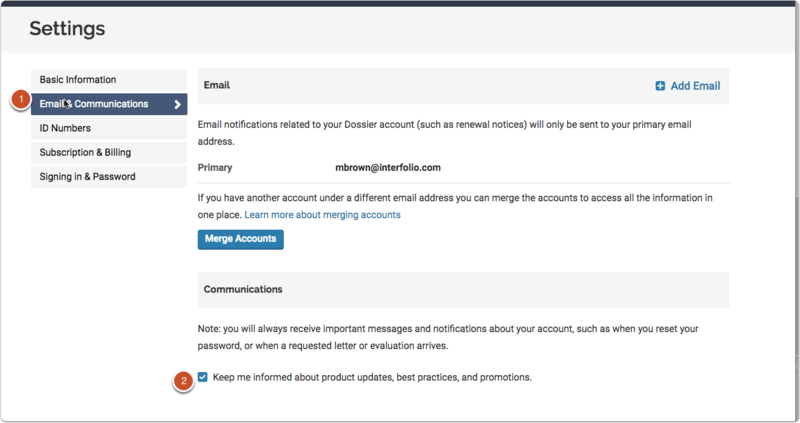 Currently, you can select whether or not to receive email notifications including product updates, articles on best practices, and information on promotions. Email notifications include product news, articles on best practices, and information on promotions.